Canggu is Seminyak’s cool little brother, a bohemian hideaway that caters to a unique mix of surfers, hippies, and digital nomads. 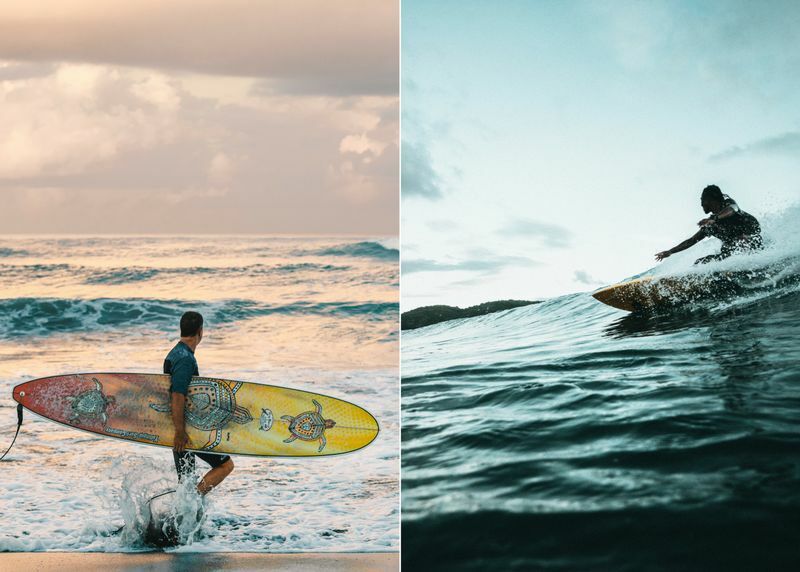 Whether it is surf, yoga, spirituality, street art, or food, Canggu delivers. 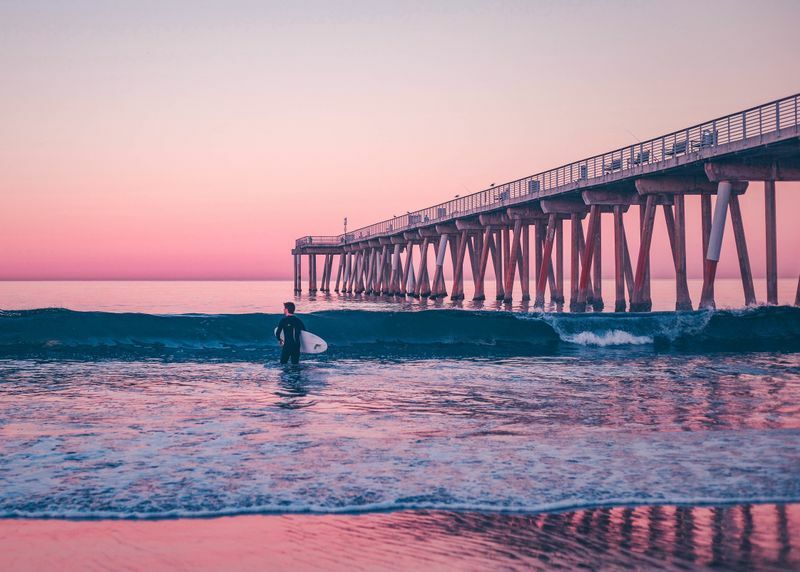 You don’t have to be a surfer to enjoy its laidback surf vibes. 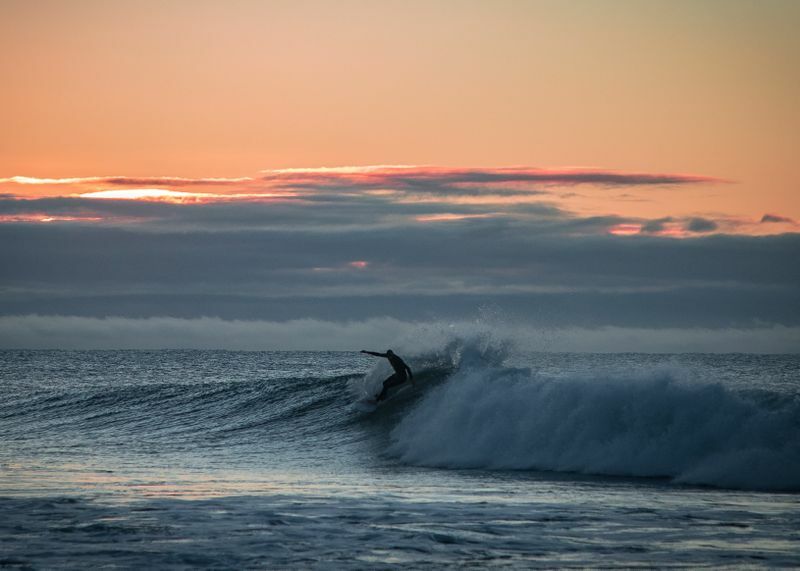 And if you’ve never surfed before, this is a great place to start. You’ll find numerous surf camps in Canggu, offering the perfect combination between lodging and lessons tailored to your specific level. 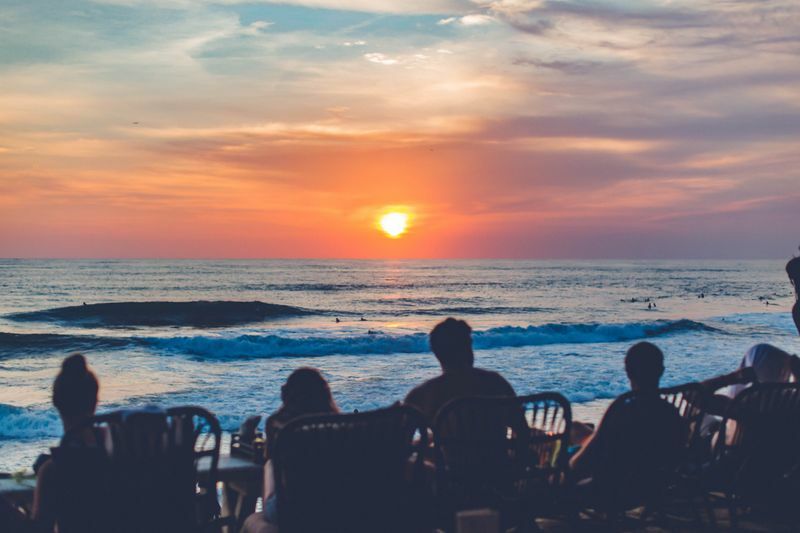 Lately, Canggu has been stealing the spotlight, as it’s become Bali’s very own hipster surf town. But why all the hype? Follow me as I try to paint a picture of how this hip little surf town feels like. Pronounced “chang-goo” and affectionately called “the Gu”, this hip little town is located on Bali’s southeast coast, between Seminyak and Tanah Lot. Not too long ago, the Gu was a hideout for surfers, low on the radar and underdeveloped. Today, it has become a hipster enclave, an up-and-coming surf village, and the fastest-growing area in Bali. Although set among rice fields, in a rural environment, it provides all the infrastructure and amenities of the big city. Many businesses are setting up shop here. Despite Western influences, the place has managed to preserve its authentic vibes. There are temples and shrines, and on any given day you can witness traditional kecak dances, listen to live Balinese music, and interact with the local fishermen and traditional seaside communities. It is a unique and intriguing contrast. Why choose Canggu over Kuta or Seminyak? 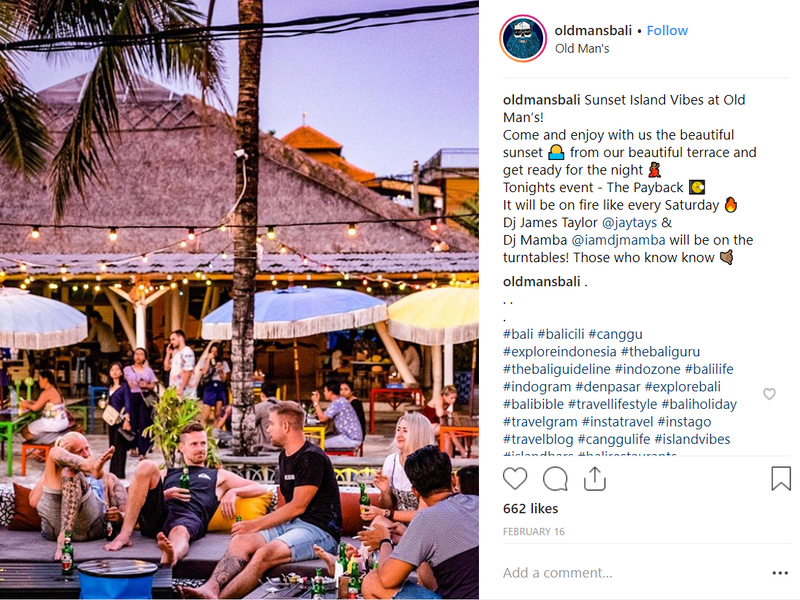 Mass tourism has already devoured Kuta, Legian, and Seminyak, which have gained a bad rap as being too crowded, expensive, and even dirty. However, only a stone throw’s away north of Seminyak (a 10-15 minute drive), the Gu is a whole different ballgame. Canggu is cheaper than Seminyak and Uluwatu, but slightly more expensive than Kuta. You’ll find luxury villas as well as backpacker-friendly accommodation; upscale spas as well as cheap massages; fancy restaurants as well as warungs (small family-owned eateries where you can have cheap traditional Indonesian food). Simply put, Canggu has something to suit every pocket. In terms of accommodation, you won’t find the luxury of Seminyak. There aren’t any resorts or big hotels here. What you’ll find instead are many gorgeous villas surrounded by patty fields. Most of them have superb backyard pools, as the beaches at Canggu are generally too wild for swimming. 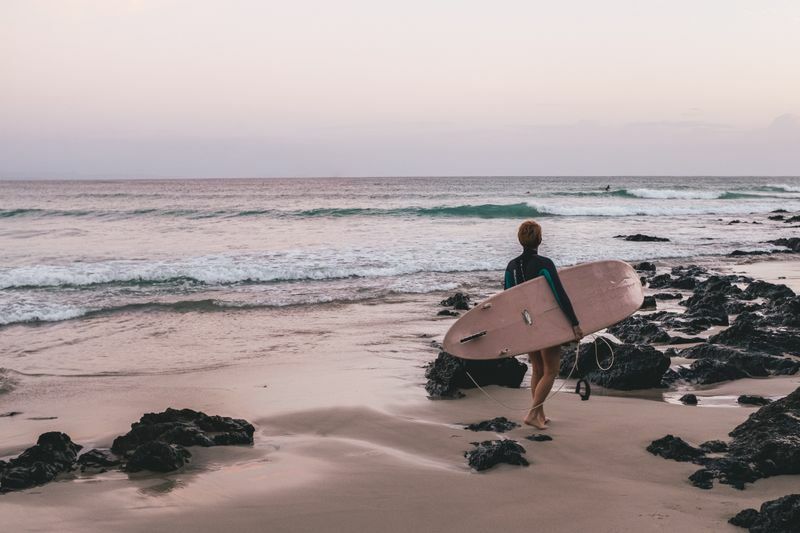 Find out all you need to know about planning your surf trip to Bali. Canggu has been a stronghold for bohemian expats since the 1970s. To this day, it still has a similar vibe to Ubud, which is why many call it “the new Ubud” or “the Ubud of surfers”. But what is it that makes it different? If you like your hamburgers with meat, you can have delicious ones in Canggu without feeling guilty about it. But most importantly, there are surfers and skaters everywhere you look. Board shorts are preferred over sarongs. The motorcycles on the streets are equipped with surfboard racks. The beach bars and restaurants have surf racks too, and the co-working spaces have them as well. There are indoor and outdoor skate parks where you can hang out in the evenings. Canggu is filled with beautiful people in their 20s and 30s, passionate and open-minded. It exhales creative and dynamic energy. The Gu is posh and sophisticated, but in a natural way. 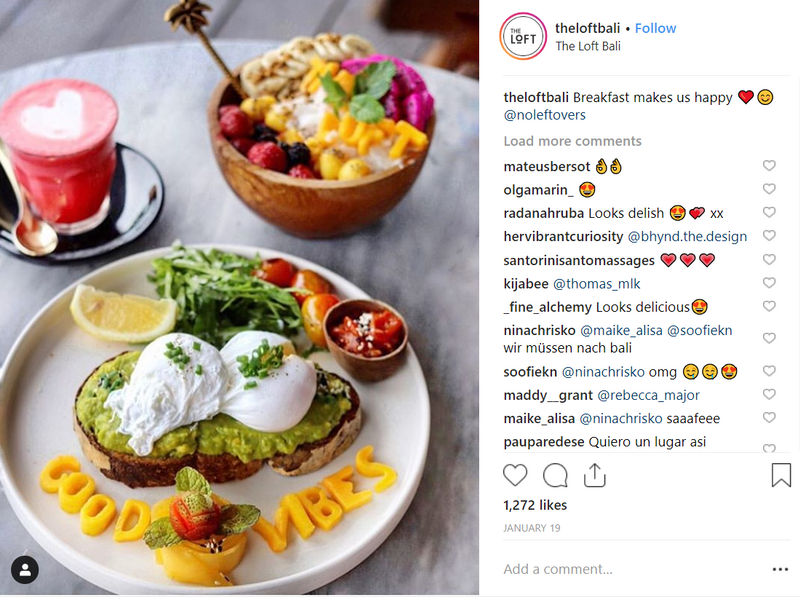 There are boutiques and artisan design shops, street art, hipster cafes, new age shops, yoga studios, organic shops, and even hipster barbershops. For digital nomads, Canggu is perhaps the best option in Bali. Numerous expats call this hip little town their home, and there are several co-working spaces. 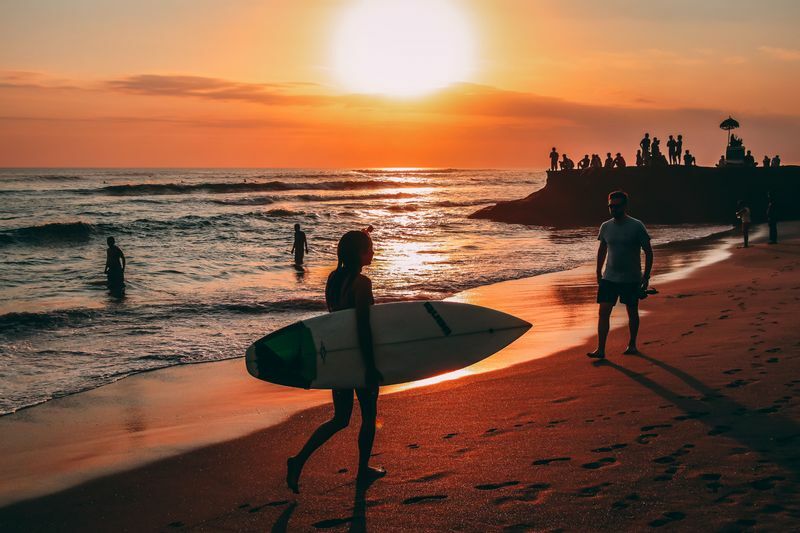 Just imagine commuting across rice paddies, doing yoga on the beach, scoring some waves just before work, and ending the day contemplating some of the most beautiful sunsets you have ever seen. If you’re going to Canggu for the surf, May through October offer the best conditions. If you’d like to throw some partying into the mix, the Gu goes wild between May and July. Most of the beaches have strong currents and, therefore, swimming is mainly prohibited. This might be disappointing for some, but look at the bright side! You don’t have to worry about swimmers when surfing. Plus, as I mentioned above, most villas and surf houses have their own outdoor pools where you can chill after the surf session. The surf in Canggu is ideal for intermediate surfers. There are some spots where beginners can learn to surf too, but the waves are generally more challenging than at Kuta. Gone are the days when the Gu was low on the radar. Nowadays, the surf can get crowded. Never as crowded as in Kuta, though. As long as you are respectful of the other surfers and know your limits, you should have no problem scoring some awesome waves. 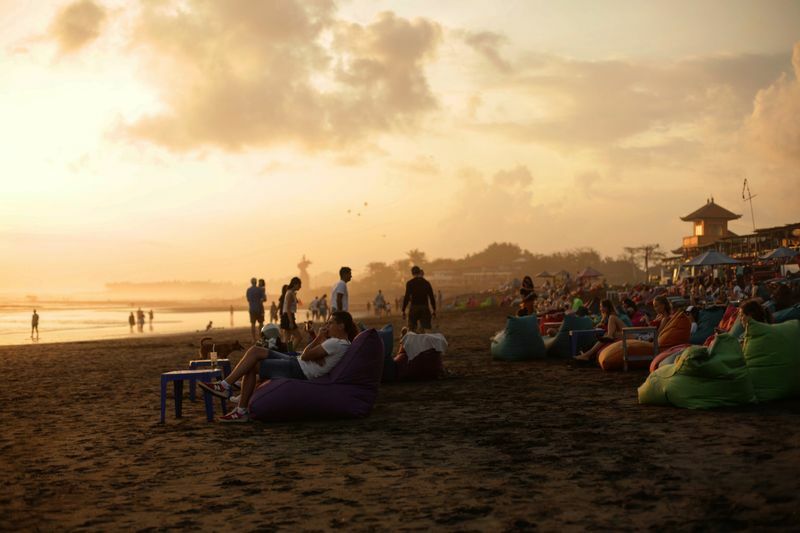 This is the most popular beach in Canggu, lined with bars and restaurants. There are several peaks here and they are recommended for intermediate and advanced surfers. The waves are more powerful than at Batu Bolong or Berawa. Right in front of the restaurants, there’s a left-hand reef break. It is shallow and can throw some rad barrels, which is why it’s more suitable for experienced surfers. Intermediates will find themselves competing against the experts for this wave. In the middle of the beach, there’s a sandbar that can get even heavier than the reef. It breaks over a sandy bottom, so it’s generally safer. It’s also less crowded than the reef. Batu Bolong Beach is the most crowded surf spot in Canggu, with a line-up that’s usually packed with surfers of all kinds, locals and foreigners, beginners and pros. If you wish to score some clean and uncrowded waves here, you must hit the surf early in the morning. The reef break at Batu Bolong is called Old Man’s, and is located right in front of its namesake restaurant. 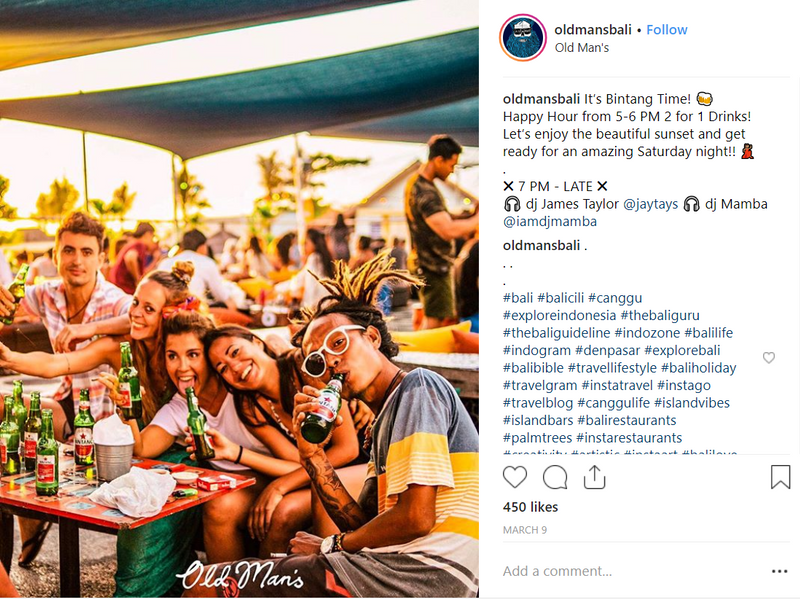 Old Man’s is the hippest beer garden in Canggu, always busy and hosting some of the craziest parties in the area. Back to the surf break, Old Man’s is a slowly-peeling wave that breaks over a reef in deep water. Therefore, it is suitable for beginners too. Intermediate and more advanced surfers also love this spot because of its long rides. This is the easiest surf spot in the area, which is why it is often crowded. A combination of sandbar and reef makes this surf spot ever changing. It is great for longboarding when small, it can barrel with a low tide, and it can get fast. With the right conditions, it can be suitable for beginners. However, Berawa is widely regarded as an intermediate spot. The northernmost surf spot is recommended for advanced surfers and is less crowded than the others. 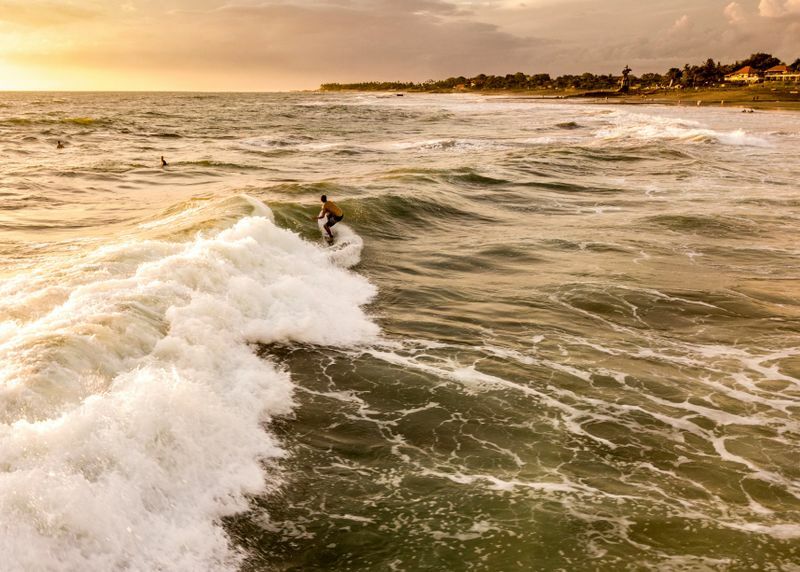 Also known as simply Canggu, Prerenan is one of Bali’s most famous waves. 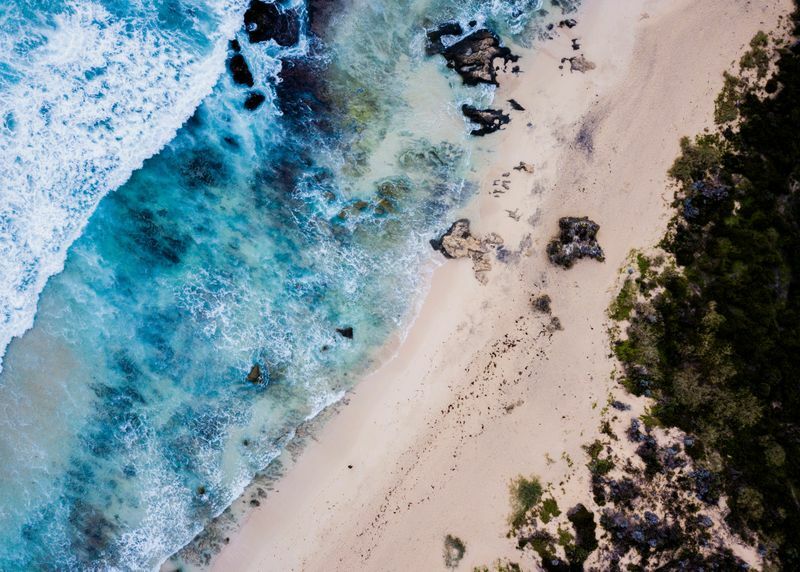 This long and hollow right-hand reef break is your best bet for catching a glimpse of the local pro surfers in action. 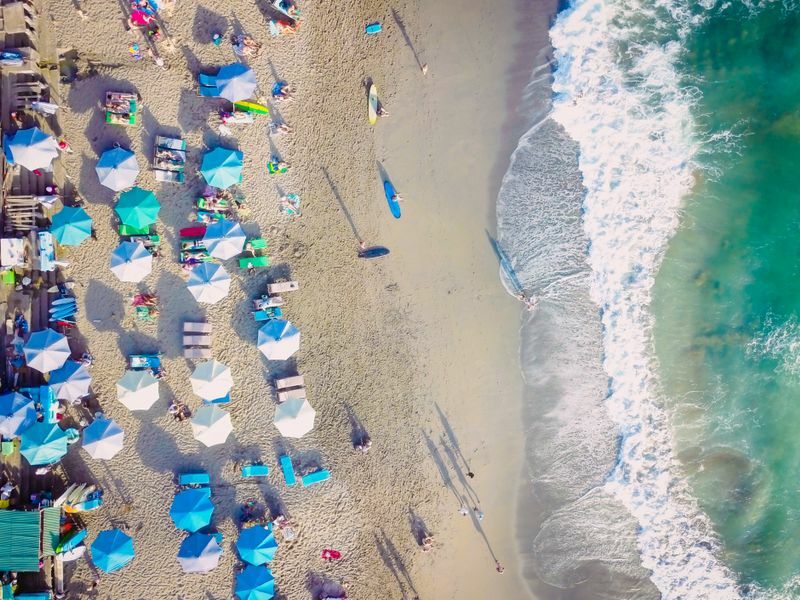 The beaches are lined with hip eateries, whimsical cafes, restaurants, and beach bars, with prices to suit every pocket and menus for every taste. Each venue has its own personality, serving Instagram-worthy dishes in a unique décor and with killer views. If the number of hipster cafes per capita measured Canggu’s cool factor, it would probably be the coolest town in the world! 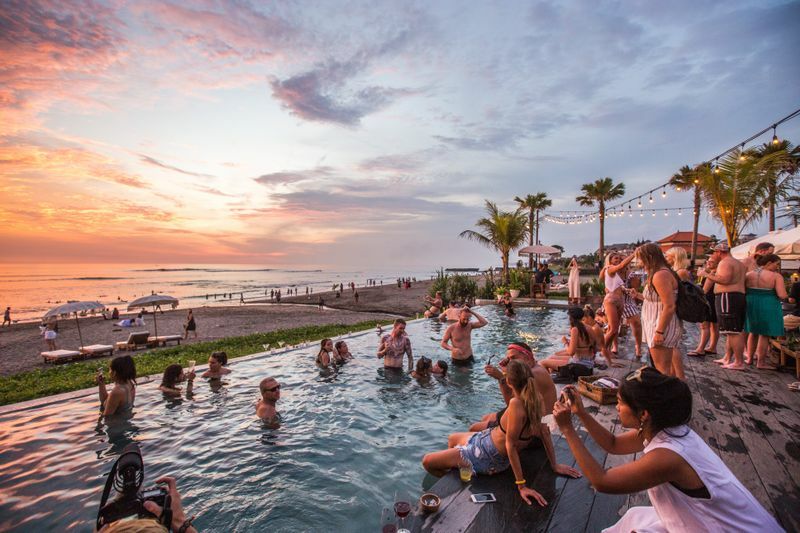 Whatever your heart desires, Canggu delivers. There is an abundance of cuisines available. French and Chinese fusion, anyone? You’ll find great Mexican food and can even get some good ol’ Cubanos off the street. The hamburgers are to die for, and you can even pay a visit to the world’s first banana flour bakery. A healthy lifestyle is the norm in Canggu. There are numerous vegan/vegetarian places, while many others serve organic food. If you’d like to stock up on some goodies or simply take the pulse of the community, head on over to the farmer’s market on Sundays. You’ll find organic fruits and vegetables, fish, and lots of handmade items. 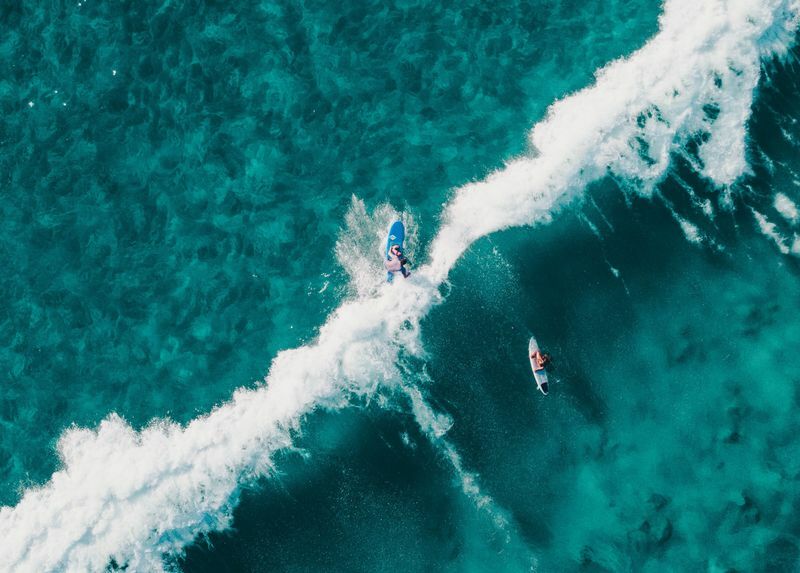 If you’re into surfing, skateboarding, yoga, good food, good music, and awesome parties, you’ll find your very own little slice of heaven in Canggu. Of course, you don’t have to be well-versed in all of the above. You’ll be as soon as you get here! 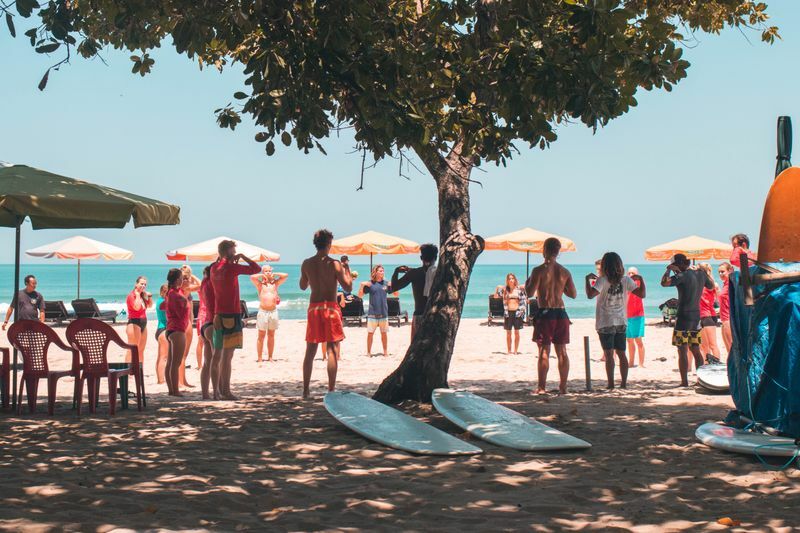 Join a surf and yoga camp in Canggu and improve your wave riding skills as well as your practice, as you discover how they both wonderfully complement each other. Octavia is a travel writer for BookSurfCamps.com. She is a passionate mountaineer, rock climber, and adventure addict who feels just as comfortable high on the rocks as she does deep down in the sea.